After buying the best central vacuum for your home, you need to find the best powerhead that matches your needs. There are many options in the market, but at the end of the day, you must get value for money. Today, we look at the best central vacuum powerheads and how to choose them. Despite the fact that central vacuum systems ideally have powerheads, you may need to replace yours. Whether you want to change a worn-out powerhead or just to upgrade, you must buy the absolute best. This way, you will get the best service from your installation. This is the most important thing to consider. Air Turbine powerheads depend on the air flowing through the central vacuum for suction. On the other hand, Electric turbines generate suction using their own motors. If you are lucky, there are convenient controls on your hose. These allow you to turn the motor on or off depending on where you’re cleaning. Air Turbine powerheads, therefore, are ideal for bare floors, low-pile carpets, and area rugs. In addition to these, Electric turbines are better suited for deep cleaning and for high-pile carpets. Air Turbine powerheads are also known as Air-Driven powerheads. Compatibility is also a very critical thing to check. 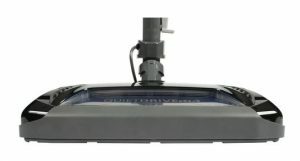 Most aftermarket or replacement power heads are compatible with a wide range of central vacuums. The products in this review, especially our top pick, are compatible with so many central vacs. Some of the most common central vacuums include Aggressor, AirVac, Beam, BLACK+DECKER, Broan, Cana-Vac, CV, Dirt Devil, Electrolux, Eureka, Hayden, Honeywell, Hoover, Imperium, Kenmore, MD, NuTone, Vacuflo, and VacuMaid. To connect the SEBO powerheads (which are the best in the market), you just need to buy an adapter and you’re good to go. Does your home have bare floors or carpets? Does it have a combination of both? How thick are your carpets? Do you love area rugs? These are critical questions that you need to answer before going all out on a particular floor head. 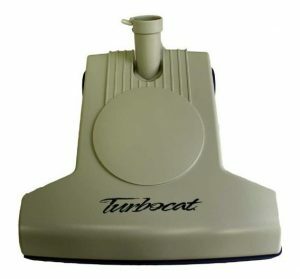 As indicated above, if you have don’t have soft or thick carpets, you can buy an Air Turbine powerhead. Otherwise, an Electric powerhead is the best pick. Another thing you need to check is height adjustment. This is critical if you have a combination of carpets and hard floors. Height adjustment allows you to transition from bare floors to carpets to rugs with ease. Height adjustment can be manual or automatic – just ensure it’s there. A particular powerhead must be easy to carry from one room to the other. So, ensure that you know how heavy it is. 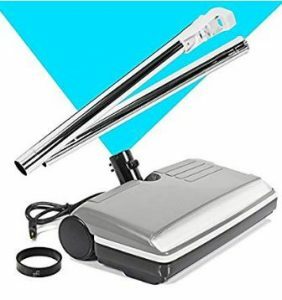 Also, unless you live alone, you may want to buy one that can be easily carried by any other occupant that participates in the cleaning duties. This is even more crucial if you have stairs. The heavier it is, the more difficult it will be to carry up and down the stairs as you clean. There are two ways to look at this. First, the wider the powerhead, the faster it takes to finish vacuuming the house/room. However, if the cleaning path is very wide, you may struggle to clean tight spaces in the house. Therefore, you need to pick wisely as per your home’s arrangement. The quality of the roller brush is directly proportional to how well it will clean the floor and how long it lasts. We advise that you seek the ones made of high-quality material like steel. Also, if you can simply replace the brush instead of purchasing the whole powerhead, go for it! While they serve the same purpose, the lifespan of each belt type is different. Geared belts are the most durable followed by Poly-V belts, then flat belts. This is not a must, but it is vital for anyone who needs to clean under couches, tables, chairs, or beds. 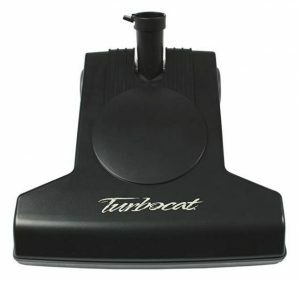 A powerhead with a low-profile design allows you to vacuum under low-lying furniture without much struggle. Also, it saves you the need of buying unnecessary attachments of hand vacs. A product that is backed by sufficient warranty coverage is the best. Apart from showing that the manufacturer has confidence in the product, you are covered in case there are defects. Also, you may want to skim through customer feedback to see how available and supportive the manufacturer is. SEBO is a German company that specializes in manufacturing some of the best cleaning products. The company’s vacuums are well known for their effective cleaning in households and commercial establishments. Millions of SEBO cleaners are in available in the US and other parts of the world. It is not a surprise, therefore, that the best central vacuum powerhead is a Sebo product. 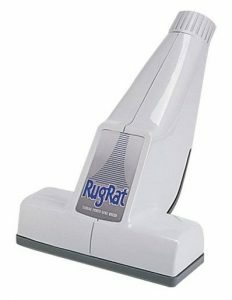 Being electric, it is capable of deep cleaning all types of carpets. Therefore, cleaning of hard floors and rugs is a no-brainer. This is made possible by the ability to adjust height settings as well as brushroll shutoff. Also, the floor nozzle swivels up to 180 degrees to make maneuverability a breeze. Furthermore, it is very good with pet hair. There are warning lights in case of clogs, incorrect height setting, or brushroll obstruction. Actually, the powerhead turns off automatically once it senses any obstruction to prevent damage. So, if you are looking for an all-around power head for your central vacuum system, there is none better. 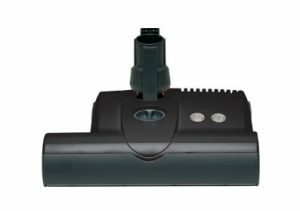 Please note that you have to buy a SEBO adapter in order to use it with your central vac. This way, it can work with almost all central vacuum system brands. Just like the Sebo ET-2 powerhead, the ET-1 is also electric. It picks up all kinds of dirt and debris (including pet hair) very well. Also, it can be used for low-pile to thick carpets as well as bare floors and area rugs. The only major difference is that this one is narrower and slightly lighter. Also, it has indicator lights that alert you to deal with clogs or when the brush roll is obstructed. As with the ET-2, the brush roll can be shut off manually or automatically if there is an obstruction. This way, you can act before any damage occurs. It is also very easy to replace the brushes for cleaning or replacement. While it can fit almost all central vacuums, remember to buy a SEBO adapter. Also, if you don’t like black, you can check out this red SEBO ET-1 Powerhead. This is another electric powerhead for central vacuums that you can consider. It is way cheaper than the SEBO ETs and is very efficient in a wide range of floor types. 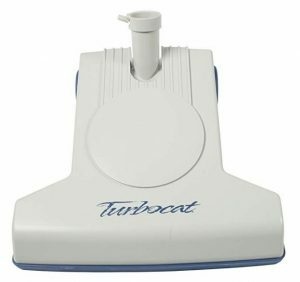 You can use it to deep-clean all kinds of carpets and take care of hard floors and area rugs. A 5-level height adjustment makes this possible. 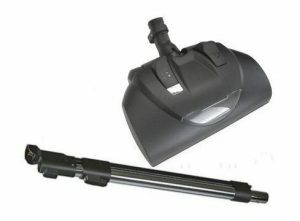 Apart from that, it has an integrated telescoping wand and a quick-release neck that makes work easy. Also, swivel steering and soft wheels allow you to avoid obstacles as you vacuum. Moreover, there are LED lights that illuminate dirt and dust in darker corners of the room. This powerhead is compatible with almost all central vacs. Cen-Tec Systems is among the best producers of replacement powerheads for central vacuums. And the Cen-Tec Systems CT23DXQD Quiet Drive is the pick of the bunch. It is also effective is picking up dirt from low-pile and high pile carpets as well as hard floors and rugs. For such an impressive cleaner, I’m surprised it costs almost 100 bucks less than Sebo powerheads. What makes it versatile is that you can adjust the height to four different positions. Headlights, a quick wand release plus a low-profile design make it very easy to use. 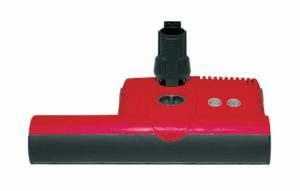 Also, this Cen-Tec nozzle uses a unique self-regulating air bypass system that regulates airflow automatically depending on the type of floor you are cleaning. So, even if you have the most recent ultra-soft carpets, the Response II CT23 is a worthy partner. Click here to see its current price. A cheaper alternative is the Cen-Tec Systems CT20DXQD Quiet Drive. If you’re looking for an air-driven turbine powerhead for your central vacuum, this is the best option. There are so many great alternatives in this review, but this one won’t disappoint you. It is easy to use, lightweight and works on all floor types –carpets and hard floors. This nozzle works well with all the major central vacuum brands. It is powered by the air flow generated by the central vacuum system. Therefore, it does not need any batteries or additional power. It is very easy to use, and the design makes it possible to clean right up to the legs of furniture such as chairs. Not only is it quiet, but it is also effective in different flooring types. Beam Rugmaster replacement powerheads for central vacuums have been in place for quite some time. Due to their performance and longevity, the product has gained a lot of respect. This power head succeeds earlier models such as the BM1365AA and the BM1393AA. It is perfect for hard floors as well as all types of carpets and rugs due to its self-adjusting capability. It is also very easy to use, thanks to the large rubber wheels. Apart from that, it is one of the few powerheads whose brushroll uses replaceable brush strips. This is another air-powered powerhead for your consideration. 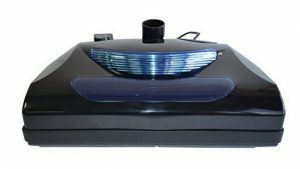 It is compatible with most central vacuum system brands and can be used on carpets and hard floors alike. Its design, as well as the unique brushroll, maximizes the airflow so that no dirt is left on the floor. It also very easy to use and its shape allow you to get as close to furniture legs as possible. This is a generic replacement powerhead for central vacuums such as NuTone and Beam. However, it cannot work with Beam Q central vacuum systems. This nozzle is great for picking up all kinds of dirt and debris from different types of floors. Lastly, we feature a different kind of powerhead. All the other nozzles are basically for floor cleaning. What if you need to clean above-floor surfaces like stairs and upholstery? You may use other vacuum accessories, or get this ultra-light, handheld, air-driven powerhead. If you are in search of the best central vacuum power nozzle, this is the place to be. We have hand-picked the top central vacuum power heads so that you can make an informed decision. I prefer electric powerheads because they can basically clean all floor types. Air-driven powerheads, on the other hand, are a bit limited.